Fox News Jerk Mocks Elizabeth Warren At Disneyland - Joe.My.God. 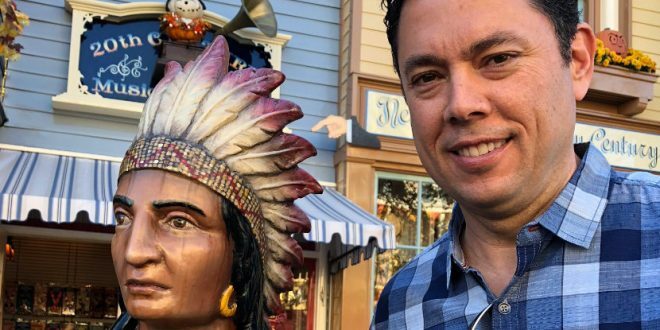 Former Republican lawmaker Jason Chaffetz mocked Sen. Elizabeth Warren on Thursday by posing with a wooden statue of a Native American, joking that it was the Massachusetts Democrat. Warren has been criticized and made fun of for releasing DNA test results earlier this week in an effort to prove her ancestry claims.